There are many natural hot springs (Air panas) situated in Sumatra Indonesia, many with public access for remedial bathing for health properties. Lake Toba. On the other side of Samosir Island from the main tourist area of Lake Toba there is an excellent example of hot springs which have been captured for therapeutic bathing. 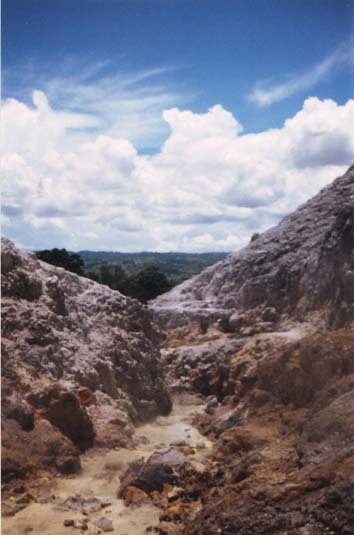 These baths are located at the base of this forming volcano as seen in this picture close to Pangururan. 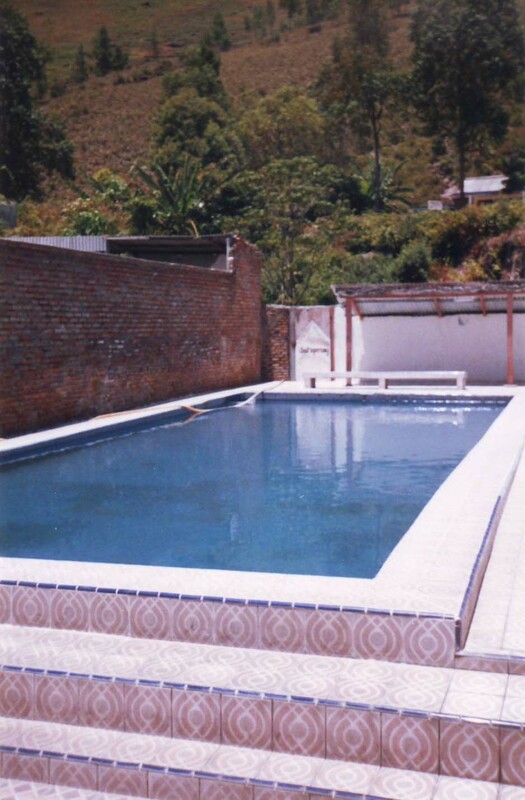 At this location they have captured the hot water into swimming pools for therapeutic bathing. It costs 5000Rp for a one hour bath. They have segregated swimming for men, women and foreigners! 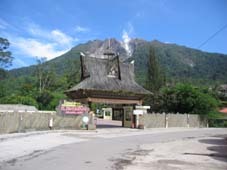 30 minutes from Berastagi there are hot springs located near Raja Bemeh village located at the base of Sibayak Volcano. There are a number of places that have pools for therapeutic bathing. 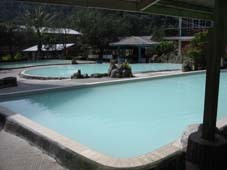 The best of these is Alam Sibayak which has a variety of pools at different temperatures. Price is 5000Rp for a one hour bath. All the pools have a view up to the top of Sibayak volcano. To get to the hot springs catch any bus from Berastagi going to Medan. Ask to be dropped off at the side road to the hot springs. There are small public buses that travel down this side road to the village underneath Sibayak though they are infrequent. It takes around 40 minute to walk along this road. It is a fairly flat walk so easy to walk with great views and opportunities to take some great photos of Sibayak and the surrounding crop fields. 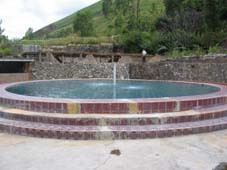 Kericini Seblat National Park has hot springs located near Mount Kericini. 2 hours walk from Ketambe there are hot springs which flow into the Alas river giving great warm and cold water swimming. There are hot springs located on the other side of Lake Maninjau from Bukittinggi. Suban Hot Springs are located 90 kms from Bengkulu, in west Sumatra is the Suban Hot Springs. It takes around two hours drive by car or bus. Suban is good for bathing of the source of natural hot water. 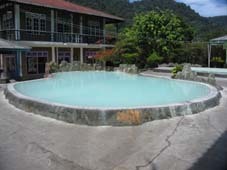 Hot springs and hot mud pools can be found on Pulau Weh. 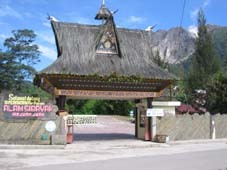 There are also hot springs in South Sumatra close to Banda Lampung. Located on Wartawan beach. If you are traveling to Bali you can visit different hot springs there including the ones on the north coast at the pleasant town of Lovina.